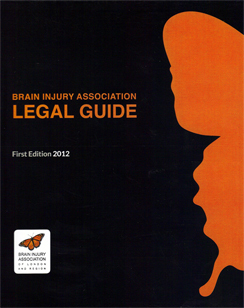 In connection with the Brain Injury Association of London and Region�s community awareness objective, the Association has collaborated with Harrison Pensa LLP lawyers to produce a Legal Guide which provides straightforward, accessible explanations of key legal issues and fundamental legal rights of those who have suffered brain injuries and for their support teams. even greater, especially when seeking compensation for their injuries or fair treatment from public- and private-sector entities. While this Legal Guide is a good source of general information accurate at publication, the law is constantly evolving, and the application of the law is dependent on specific circumstances, so do not rely on this guide for specific legal advice. This guide does not establish a solicitor-client relationship between the authors or the Brain Injury Association of London and Region and you. Every legal matter is unique and your specific circumstances need to be discussed with a qualified lawyer. The authors would be pleased to discuss any questions you may have about how this information applies to your particular circumstances.